ACT GROUP was awarded China National Sport Demonstration Enterprise. 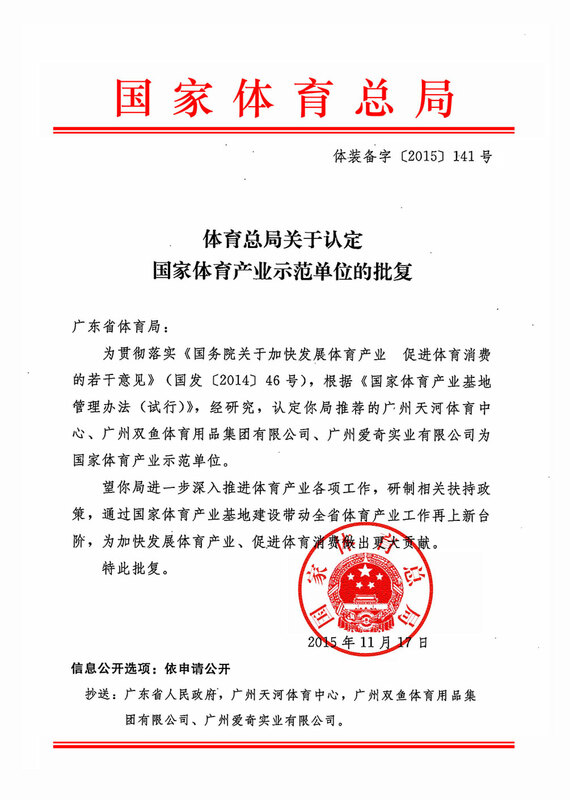 Recently,General Administration of Sport of CHINA gave the official reply that ACT was awarded China National Sport Demonstration Enterprise. ACT is the solo private enterprise which got such highest honour in Guangdong Province. So far,there are only 18 enterprises that were awarded such honor. China National Sport Demonstration Enterprise is named by General Administration of Sport of China, which award the large-scale，characteristic,influential and competitive sport organization or company in the sport industry of CHINA. It's the nationwide election based on General Administration of Sport after "No 46 Issue" promulgated. Previous: Welcome to upgraded NIKE Football Park!